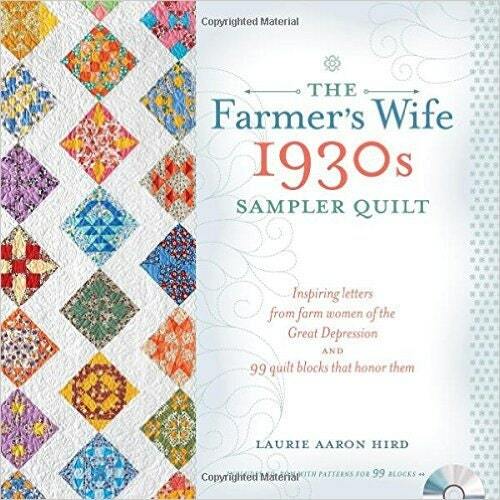 Inspiring letters from farm women of the Great Depression & 99 quilt blocks that honor them. *99 six-inch quilt blocks, with assembly diagrams for piecing the blocks & template cutting instructions. 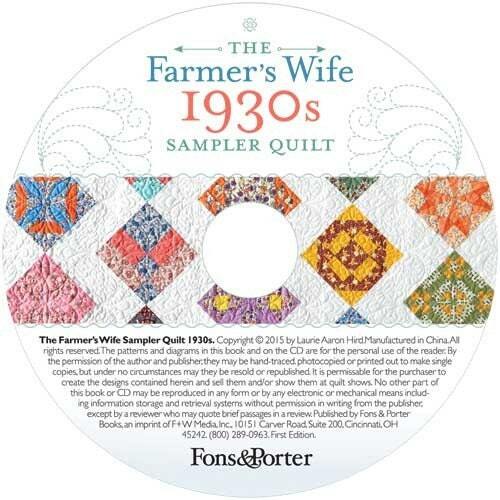 *Complete instructions for making a sampler quilt in any traditional size: lap, twin, queen or king. 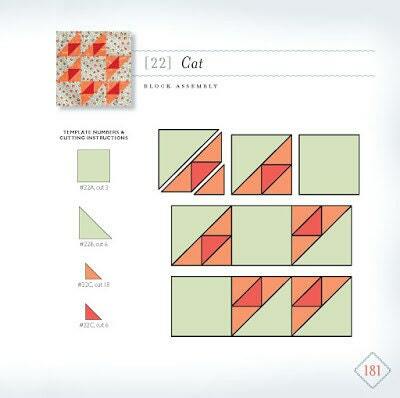 *Easy to print, full sized templates for all 99 blocks & printable quilt construction diagrams. *Rotary cutting measurements for those templates that can be easily measured. 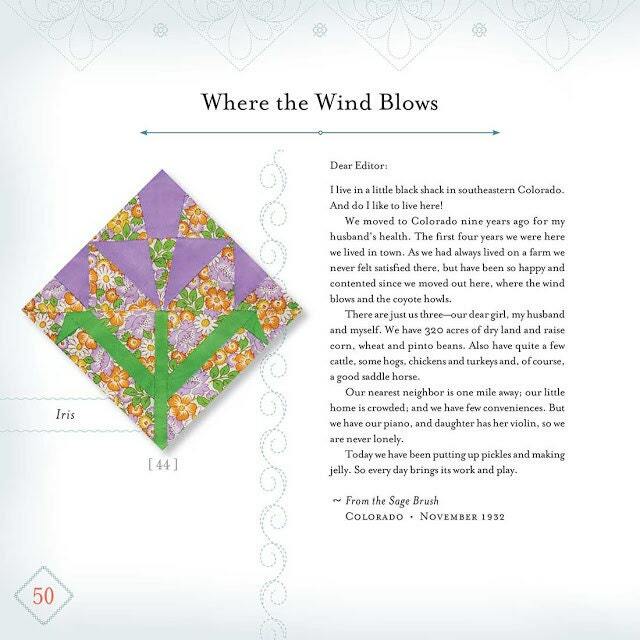 *Paper piecing instructions & patterns for each of the 99 blocks. 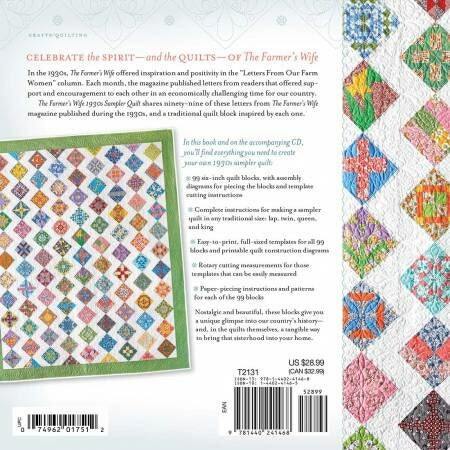 *Nostalgic & beautiful, these blocks give you a unique glimpse into tour country's history & in quilts themselves, a tangible way to bring that sisterhood into your home.